Obviously designed to be a summer blockbuster for young people home from school, Ruler: Master Of The Mask (2017) featured two highly professional young Korean actors well known to those of us who have been watching these dramas for over a decade, Seung Ho Yoo (Remember, Operation Proposal, Sad Love Story) and Kim So Hyun (Suspicious Housekeeper, Goblin, Nightmare Teacher), both of whom have been acting since they were little tykes. It excited the K-drama world to hear the news that they would be paired up in a drama. (I'm still waiting for Seung Ho Yoo to be paired up in a drama with Park Shin Hye, that would really excite me!). Ratings for this show were good, starting about 8% and going up to 16% by the end. I didn't have to watch more than five episodes out of forty before I realized this show was designed by its two writers (Park Hye Jin, Jung Hae Ri) to be an Asian retelling of Mark Twain's 19th century classic story The Prince And The Pauper. Yet when I surfed through American based K-drama web sites referring to this drama nary a mention of Mark Twain's classic story did I see! Don't American children read Mark Twain anymore? What DO they make kids read today in school? Anything classic at all? How come two foreign Korean lady writers knew more about Mark Twain's classic story than Americans watching this show? Sigh. I enjoyed this production even though much of the story was predictable. The acting was fine from everyone, and I enjoyed seeing the faces of a lot of older character actors I have admired from other dramas in the past as well. I was also happy to see young actor L (birth name Kim Myung Soo) again -- he had played the younger version of So Jisub's character Joo Joong Won in Master's Sun and had impressed me a lot back then (remember the flashback scenes when his character was forced to read Agatha Christie's And Then There Were None, with a gun pointed to his head?). I don't forget scenes like that, they imprint themselves in my memory forever. In this show he plays "the pauper" who stands in for the Prince. Cliffhangers were solid and you grow to care for the characters, so those two essential ingredients of good storytelling passed muster. The sets and costume designs were first rate and very, very beautiful. 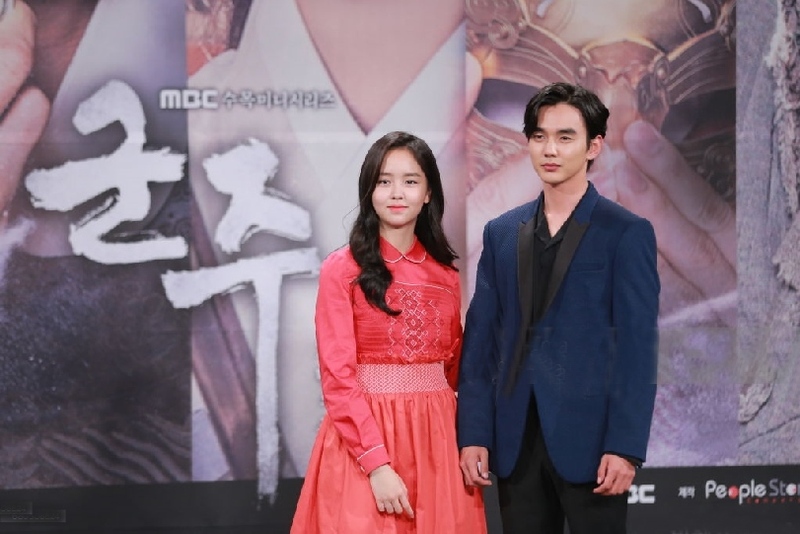 (I did wonder how Kim So Hyun's character's clothes always stayed so immaculately clean in every scene, even when she was working in a marketplace, running and sweating, riding a horse, being pushed down into the dirt by an enemy, or cradling a dying, bloody character in her arms. Hmmm ... that was not realistic at all. Note to Production Staff: your female star doesn't always have to look like she's emerged from a modern beauty parlor. ;) Let her rough it up a little bit with the guys!). The time is 18th century Korea, the Joseon Dynasty. The current Crown Prince Lee Seon (Seung Ho Yoo) is a kind and brave young man -- he just has to wear a mask over his face in public, and he doesn't know why. He is very lonely, most of the time spending his leisure hours reading in a special room filled with beautiful plants. He longs to have just one friend he can trust and talk to, even if it means sneaking out of his special room when he has the chance. In early foundation scenes we find out why his life is like this: as a baby he had been poisoned by a secret organization called the Pyunsoo Hwe, headed by an evil monster named Dae Mok (Heo Joon Ho, Beautiful Mind). They had promised the baby's father the King (Kim Myung Soo, Bridal Mask) an antidote to the poison if he would guarantee that when the Prince comes of age he will go through their secret initiation rite to become part of their organization, swearing allegiance to them only. This group accumulated huge amounts of wealth over the years by controlling the water supply of the common people. The current King had no choice but to agree, to save his baby son's life. He doesn't want Dae Mok or his people knowing what his son looks like, however, hence the mask in public. Then, as if in an answer to prayer, the Prince finds his first friend, a young man who is a commoner and a son of a butcher who died, with a poor single mother and younger sister to take care of. To the Prince's amazement he just happens to have the same birth name, Lee Seon (L). The commoner Lee Seon doesn't think very highly of his life, but the Prince reassures him he can be liked just for the kind and gentle person he is today. "I will never forget that you were my first friend", says Prince Lee Seon to commoner Lee Seon. 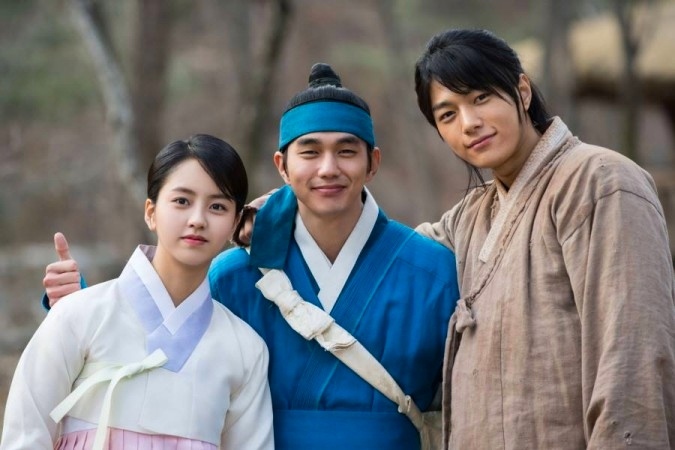 Both Lee Seons meet a pretty young lady named Han Ga Eun (Kim So Hyun) and befriend her. She is the intelligent, noble daughter of a military man named Han Kyu Ho (Jeon No Min, who played Lee Jin Wook's troubled brother in Nine: Nine Time Travels). The Prince uses a fake name when he is in the company of this young lady, and his new male friend keeps his secret. They have some fun times together as three friends, and Ga Eun even teaches the commoner Lee Seon how to read, but these simple, sweet times are not to last long. Ga Eun's father gets into political trouble and is beheaded, with his daughter watching and crying from a distance. 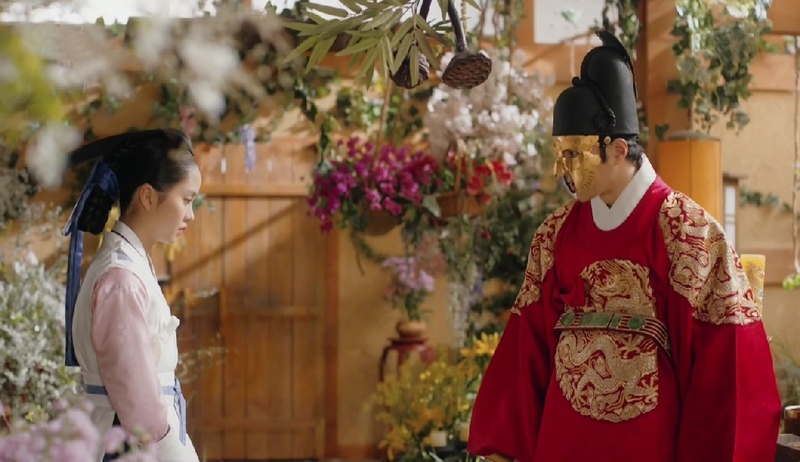 She thinks the man who beheaded her father is the Crown Prince because he was dressed like him and wore a mask, but the Pyunsoo Hwe had substituted another man in his stead. Ga Eun swears revenge on the Crown Prince, not knowing that she is already falling in love with him, the real Prince Lee Seon who has a fake name. We also meet the granddaughter of the evil Dae Mok, named Kim Hwa Goon (Yoon So Hee, My Love Eun Dong). She is spoiled and strong willed, even daring to pit herself against her evil grandfather on occasion. She tells him bluntly she wants to marry the Crown Prince. Then by willful "accident" she wanders into the Prince's private room and falls instantly in love with him when she sees him with his mask off. He is kind to her and protects her, which surprises her and touches her heart. As time goes on she inevitably has to choose whom she will side with and be loyal to, her powerful and evil grandfather or the Crown Prince she not so secretly desires. Her decision is not made easier by the fairness and kindness with which the Prince treats her, sensing full well she has a crush on him. The Crown Prince, once he learns the truth about why he has to wear the mask, becomes determined to destroy the secret organization and the evil Dae Mok, especially after they stab his father, the King, to death, and poison his mother. He is now the King of Joseon, but he comes up with a scheme to switch places with the other Lee Seon, the commoner, and trains the young man how to take over for him while he goes out into the country, pretending to be a commoner, but with the intent of gathering huge forces to fight against the Satanic Pyunsoo Hwe who still have the populace in their grip, threatening them over water rights and exorbitant taxes. 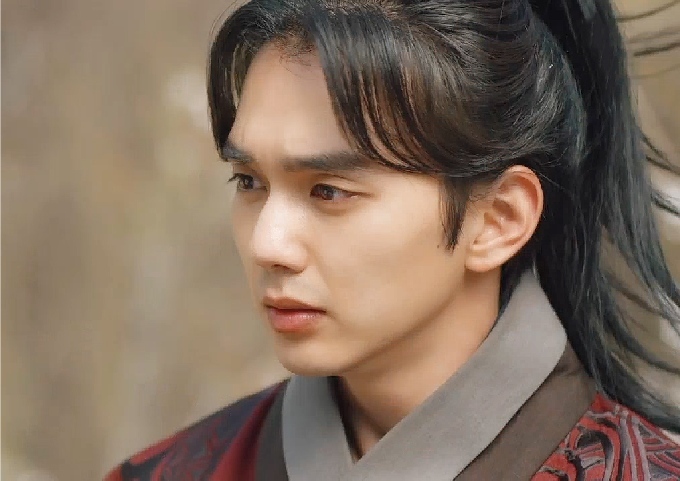 The young commoner man Lee Seon agrees to take the place of the King but as time goes on he begins to feel more and more like a strong King himself and considers maybe he shouldn't give the throne back to the real King after all! Watching him carefully is the Dowager Queen (Kim Sun Kyung) who knows very well he is a fake but wants to keep her own power intact and so therefore uses him whenever it suits her interests. 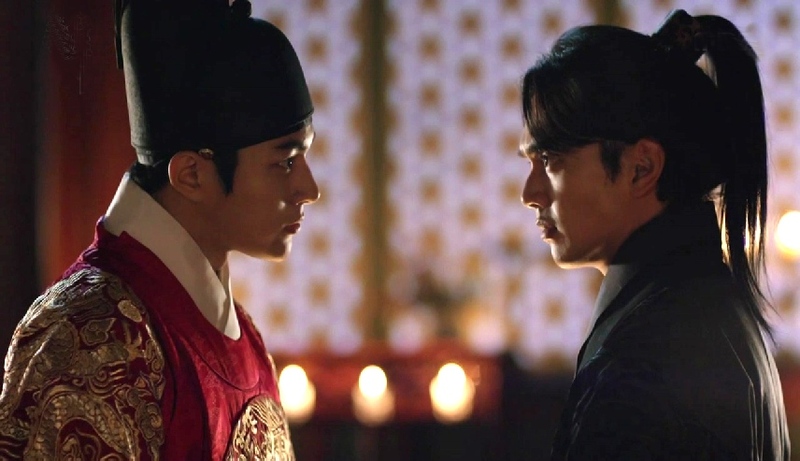 While he pretends to be a commoner and struggles to come up with methods to destroy the Pyunsoo Hwe, the real King Lee Seon asks the advice of Woo Bo (Park Chul Min who played the lisping trumpet player in Beethoven Virus), an old trusted teacher of the Prince’s, how he should proceed. 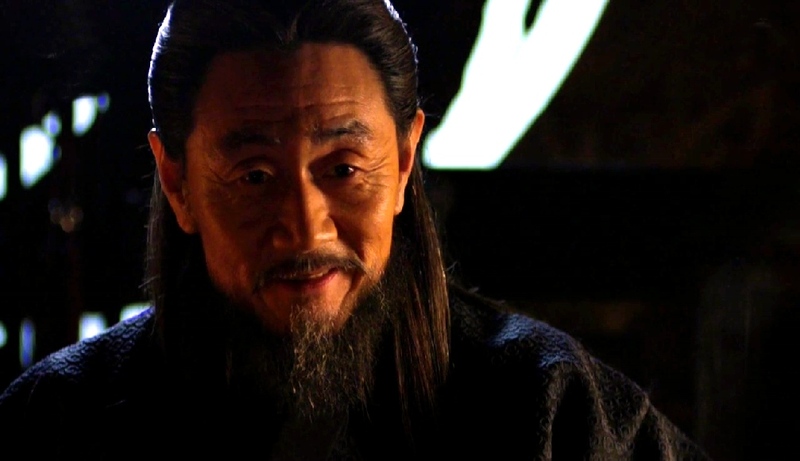 Woo Bo essentially tells him he will have to think outside the box and be creative, that old methods of rebellion won't work against such evil strongholds, and that he should make the common people trust him first before anything else. Together with Ga Eun, who has fallen on hard times since her father's execution, and his faithful bodyguard Lee Chung Woon (Shin Hyun Soo), they come up with a plan to get rid of Dae Mok and his legion of Satanic stalwarts by enlisting the common folks' help. If they by some miracle succeed, and the real King is revealed again, will the commoner Lee Seon on the throne now want to relinquish his power? What will happen when the real King's identity is revealed to Ga Eun, who thinks he was responsible for the execution of her beloved father? There is a major twist at the end of this drama which was not in the original story of The Prince And The Pauper, but you will have to watch the show to see what ultimately happens. I would also strongly suggest that if you have never read Mark Twain's original story you should go to your local library and take it out; you don't know what you have been missing! It's a classic for a reason ... it's a stupendous story! Enjoy.